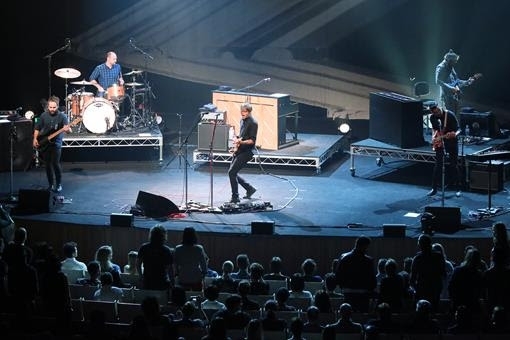 Four years on from their sold-out Sydney Opera House debut, Seattle’s influential indie-rock luminaries Death Cab for Cutie will return to the Concert Hall for two special performances on 11 and 12 March 2019. The veteran musicians will perform their recent ninth studio album Thank You for Today alongside their impressive back-catalogue of hits. Their first studio album in three years, Thank You for Today delivers a fresh Death Cab for Cutie sound, from shimmering, propulsive tracks like “I Dreamt We Spoke Again” and “Summer Years” to frontman Ben Gibbard’s lauded introspective and confessional lyrics in “Autumn Love”. Together with new members – guitarist Dave Depper and keyboardist Zac Rae – Gibbard, Nick Harmer and Jason McGerr have pushed their music in new directions, further experimenting with pop production techniques and sampling Yoko Ono’s 1972 track “Mind Train” in the album’s lead single “Gold Rush”. The result is an anthemic, life-affirming album that “marks the stirring opening of a new chapter in this band’s already storied history” (DIY). After forming in 1997, the Washington State locals were propelled from the DIY indie music scene into pop culture history in 2003 when their generation-defining fourth album Transatlanticism and Grammy-nominated fifth album Plans (2005) were used to soundtrack popular US television drama The O.C.. Dominating the early ‘emo’ scene in the era of CDs and iPods, Death Cab’s melancholic tracks like “A Lack of Color” and “I Will Follow You into the Dark” introduced adolescents the world over to the expressive power of indie music. 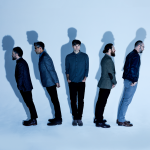 More than 10 years after this initial burst of popularity, Death Cab for Cutie have more than proved their staying power. After signing to major label, Atlantic Records, through the exposure of The O.C., the band released four more albums, garnered five Grammy Award nominations and influenced fans and the music industry alike. Their poignant lyrics even inspired the names of two respected online music critic sites: The Line of Best Fit and The 405. Earlier this year, the band cemented their return when The Cure’s frontman and Sydney Opera House alumnus Robert Smith invited them to play at the Royal Festival Hall in London as part of Meltdown Festival curated by Smith. Now the band will play their timeless catalogue interspersed with stunning new music in two tender performances on the Concert Hall stage that will at once comfort and break hearts of the audience.